From trips abroad to days out closer to home, the school holidays can be a costly time for families. And now new research suggests that two in five parents are already having to make cut-backs in order to prepare for the summer break. Groupon has reported that 39% of mums and dads cut their spending during June in an effort to boost their summer budgets. They typically set aside £220 over the course of this month. It was even discovered that in 9% of cases, parents start planning ahead up to six months in advance. When planning foreign holidays, parents have a range of financial issues to consider. Along with hotels, flights and trips out, trusted travel insurance is also something that needs to be invested in. Whether at home or abroad, the new research indicates that parents typically spend £251 to keep their children occupied during their time off school in the summer. 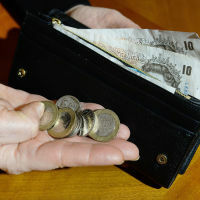 During the holidays, they also spend £138 more than their usual household outgoings. By the close of August as children near the end of their holidays, it seems many parents struggle to come up with new entertainment ideas. Some 45% said they tend to struggle by that point. Julie Szudarek, international president of Groupon, said: "Parents are bombarded on a daily basis by images of perfect family scenes, relaxing holidays and calm reading sessions, but we know the reality is usually far more chaotic." Some 2,000 parents from across the country were polled as part of the study. They had children at either primary or secondary school level. A further survey of 1,000 parents with children under 18 was also included. Parents could face higher costs this summer as a result of rising inflation. It was recently revealed that Consumer Prices Index inflation reached 2.9% in May, the highest level since June 2013.